Here in New England, the mercury has finally dipped into single digits. We have a stew in the pot and a fire in the hearth. Right now we need wines that remind us of sunshine—but know how to survive the cold. I find myself reaching for Italian reds, wines from up and down the boot. Thoughts of Italy chase away winter’s chill. Pining for the hills of Tuscany? I grab a bottle of Chianti, based on Sangiovese. Wishing for the warm smile of Sicily? I’ll open a red based on Nero d’Avola or Nerello Mascalese. Recalling sweet memories of Venice? Those wines are made from grapes that sound like Cinderella’s children: Corvina, Corvinone, Rondinella, Oseleta. I could go on. These wines can be savory, earthy, peppery, leathery—great for winter fare. The fruit is present but not the point. They’re almost unilaterally good with food, because they’re made with the table in mind. Below are fourteen Italian red wines made from fourteen different Italian red grapes. I’ve listed them roughly north to south, starting in Piedmont, skipping east to the Veneto, then back across to Chianti before zipping down to Abruzzo and, finally, to Sicily. Some are varietal wines and some are traditional blends, but I stuck to wines made from native grapes, omitting those that incorporate international varieties like Cabernet Sauvignon. Those wines can be terrific, but for our armchair journey I thought we should celebrate place, and the grapes that have been linked to that place for centuries. A wine that conjures the smell of sweet late summer, suggesting anise and fennel, ripe bramble fruit, purple flowers. It’s juicy and black-brambly on the tongue, too, with that characteristic bitter Dolcetto snap. Made from 100 percent Dolcetto grown on Monte Aribaldo in the commune of Treiso, in a vineyard with a south-facing exposure, it’s ripe and friendly. But the tannins are like corduroy or velour, very sensual but cottony, not too soft, and the acid really makes the wine. Made from 100 percent Nebbiolo grown in Barbaresco at 280 m elevation, it’s limpid, sharp, and juicy, a blade of acid slicing through succulent red and black fruits. Plum and cherry, cranberry, and tart raspberry dazzle the tongue, while a wafting blue-black smoke of herbs and seeds and woodsy spice filters across the top. The finish fizzes into a juicy goodbye. Great for weeknight pasta, pizza, chicken, sear-roasted whatever. Anise, tea, cedar, red berries—this wine is evocative of old wood, afternoon, sunlit room, bittersweetness. Made from 100 percent Nebbiolo grown in Martinenga, in vineyards facing the sun, the wine aged briefly in French barriques, then relaxed in Slavonian oak cask for twelve months. It’s now ferociously alive and vibrant, but it presages wisdom. Pair it with light meats and poultry, medium-aged cheeses, grilled vegetables. A Barbera with a gorgeous perfume of fresh fennel, anise seed, wild roses, and plum skin, plus something tawny and dusty, too, like harvest earth, like autumn. It’s attenuated and linear along the tongue, very pure, with glistering acidity and a clean, squeaky-tannic finish. This is a superlative food wine; pour it with pesto, marinara, pizza, fish, poultry, cheeses. It could (maybe should) become a weeknight staple. A Corvina-dominant blend rounded by Rondinella, Croatina, and Oseleta, grown in sandy loam with calcareous subsoil. The fruit was double-sorted, laid on wooden trays for concentration, and fermented in stainless steel. The wine spent two years in 500-liter French tonneau. It’s incredibly savory, with aromatics of beef bouillon, marrow, smoky tea, brushy herbs. The palate is savory, too, with abundant black plums and a meaty anisette mid-palate. The finish is like tobacco-steeped blackberries sprinkled with ground anise seed, coriander, five spice, sage. There’s a lot going on here, and it’s a very big wine that needs fat, meat, salt. Try brisket, smoked pork shoulder, herb-grilled meats, deeply aged cheeses, sausage, ratatouille, lasagna of all stripes. A blend of Corvina, Corvinone, Rondinella, Croatina, and Oseleta, and, like the previous wine, grown in sandy loam with calcareous subsoil, then aged in 500-liter tonneau. It’s a smaller wine, though, less commanding, and its peppery aromas are both oxidative and very savory. There is beef bouillon and Marmite, especially at the finish, plus notes of tea and dried herbs that dust the red berry fruits. It requires rich grilled rare meats, salumi, or aged cheese. Made from 100 percent Corvina in the Amarone style, late-harvested and dried on racks, then fermented dry and raised in Slavonian oak. Its ruby-velvet body offers spiced red stone fruit and bay leaf, with a finishing bitter anise catch. The tannins are assertive, but overall the wine is lighter than I expected, with terrific acidity and a nerviness that ripples through it. It needs rich, rare meat. Made from 85 percent Sangiovese with a balance of Canaiolo and Mammolo, grown organically grown in the hills of Siena. The winery is low-tech by intention, committed to environmental sustainability, and uses indigenous yeasts and no sulfites in production. The result here is a juicy, fruit-driven wine plumped by red berries and pink flowers and leavened by silky acidity. Although the tannins are nearly indiscernible, there’s a welcome crack of pepper at the finish, plus a whiff of bitter herbs. And you can’t beat the price. Montepulciano is tiny hamlet in the hills east of Florence, and the wines made here are based on Sangiovese. This Rosso is 96 percent Sangiovese with other native grapes (likely Canaiolo and Mammolo), fermented with ambient yeast and aged five months in French barriques and Slavonian oak casks. It’s a bright, light-bodied, juicy wine with brisk tannins and a finish of balsamic-steeped cherries. It’s great for pizza, pasta, and poultry. This Sangiovese was grown in a mix of clay, sand, and silt in the Valiano and Argiano hills surrounding Montepulciano. The 2010 is fully mature, with considerable oxidative character. Its tawny, barn-red body yields aromas of autumn leaves, dried fruits, and balsamic. The palate is woodsy, with supple, fine-grained tannins and a savory Marmite finish. There is fruit, but it has been burnished russet. Drink now with roasted meats, aged cheeses, charcuterie, lentils, nuts. Montepulciano is also (confusingly) the name of a red grape grown throughout central Italy, perhaps especially in Abruzzo, on Italy’s east coast. This particular fruit was grown within hollering distance of the Adriatic, and the wine was aged in oak, which is somewhat uncharacteristic of the region. The result is almost mushroomy and very concentrated, a mélange of black fruits and moss and wood, assertively tannic, with a filigree of aromatic herbs. It exudes a youthfulness just shy of inexperience right now, and absolutely demands food: rare meat, sautéed mushrooms, aged cheese. On the other hand, at this price you can afford to lay several bottles down to see what a few years of bottle age could do. I think it will be splendid. This Montepulciano suggests a drift of leather and violets, plus dark red fruits polished by tawny tannins. It’s not a complicated wine, but it’s not simple, either. Perhaps the best way of saying this is that it’s not trying too hard, and so in the process becomes a great weeknight wine, free of worldly care. Pour it with pizza, pastas, tapenade. This 100 percent Nero d’Avola was grown in limestone in a south-facing vineyard, but at sunset the tramontana breeze kicks up and cools the vines, slowing ripening. 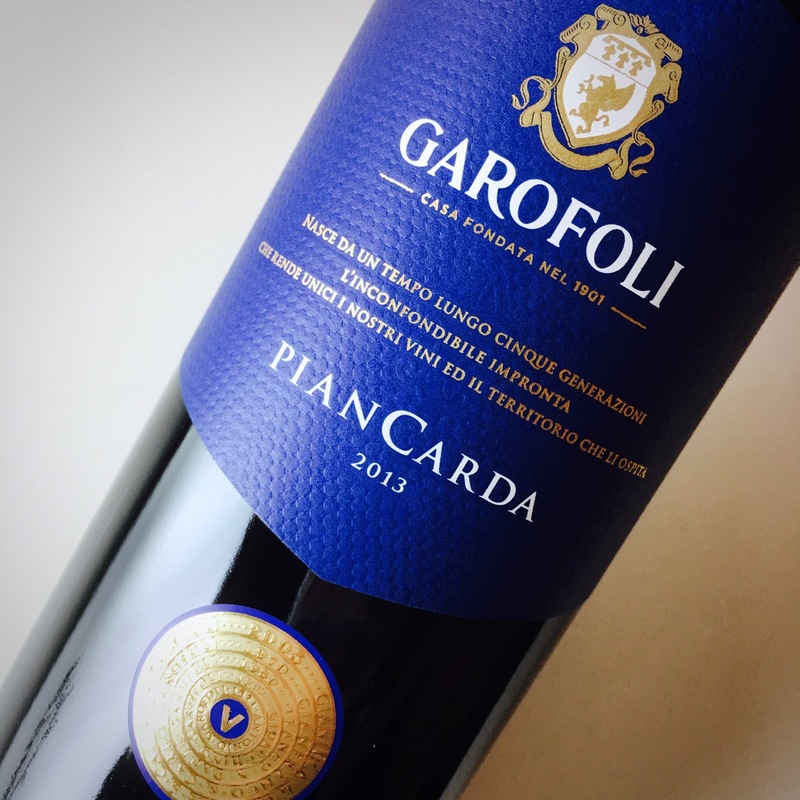 The wine is concentrated and muscular, with chewy tannins and dense black fruits dusted with sweet tobacco. Buoyant acidity and a glittery finish add lift. A Nerello from Mt. 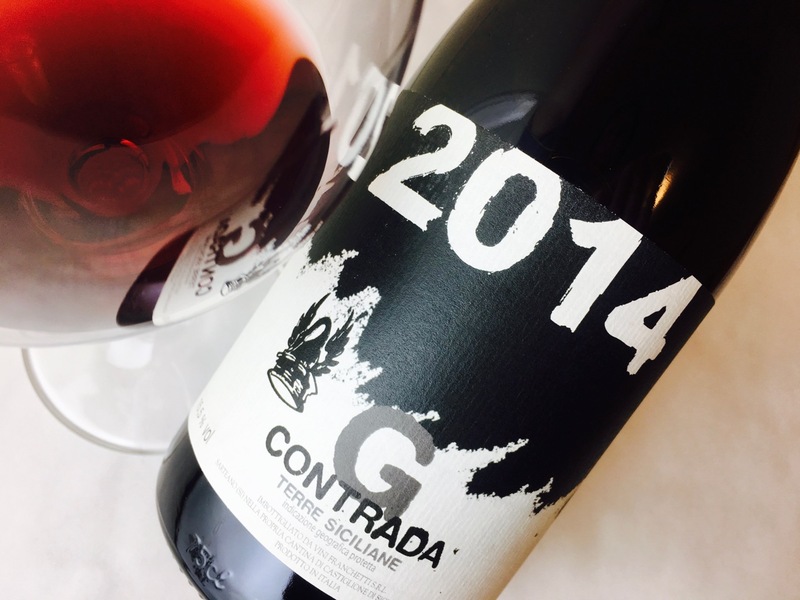 Etna that’s youthful and vibrant, with glorious acidity and a clean, high floral-herb note. There is earth, but it’s shining, not funky, and the garnet body is bedecked with flowers and red cherry fruit. It’s light-textured, somehow both silky and taut, with forward tannins, glistering acid, and a minerally grit like licking a pencil. It’s elegant, varietally perfect, and interesting. Many thanks to Wine Business for recommending this article to their readers. All wines except the Salcheto Chianti were media samples. View my Sample Policy. I too have been reaching for red wines far more frequently lately. A good reminder that I have to do some shopping to re-stock our Italian wines (and such lovely photos)! Many thanks for reading, Krista, and happy Italian-red-wine-hunting to you! I think your blog is very well written, well designed, with very beautiful thoughts and photos. But what about the person who sell you italian wine?!?! This is a bunch of classy, industrial and flat wine that you can find almost everywhere in Italy, and they don’t represent at all the soul of Italy. I really think that you can have much better wines. I don’t want to be hypercritical, I really think you’re doing a great job, it’s just sharing opinions. Thank you so much for reading, Alessandro, and for your thoughtful remarks. 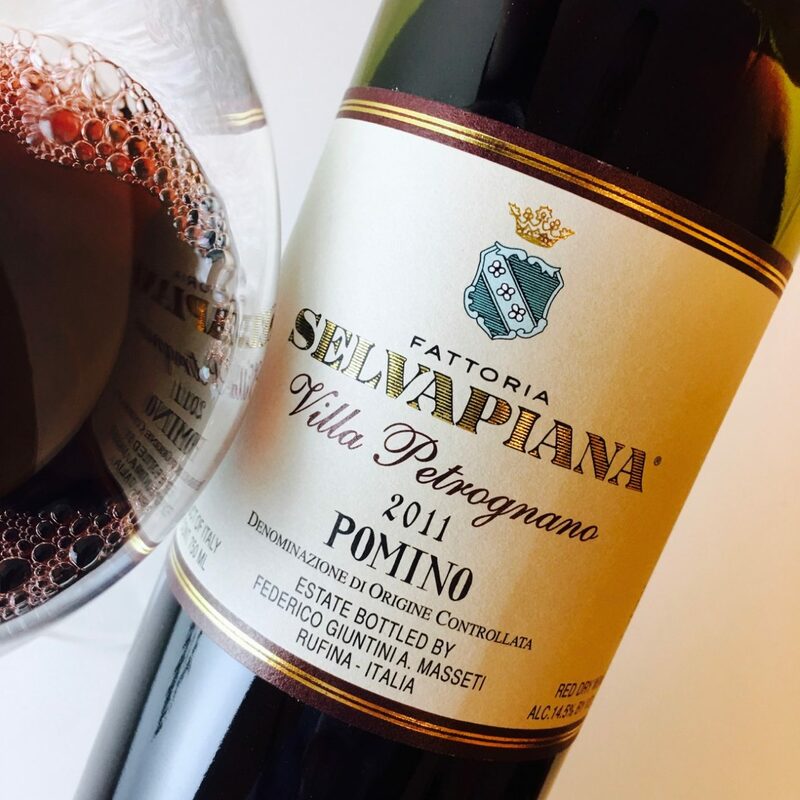 Like you, I value the work of small producers who are making soulful wines, and, as this article highlights, wines made from grapes native to Italy, rather than blended into international-style sameness. Unfortunately, smaller-production wines can be hard to find throughout the U.S., where the bulk of my readership resides. Regardless, whenever I find a wine that’s delicious, I sing its praises to the rafters. Brian, many thanks for sharing further details about the family producers in the Dalla Terra portfolio. Theirs are characterful wines that deserve a taste.